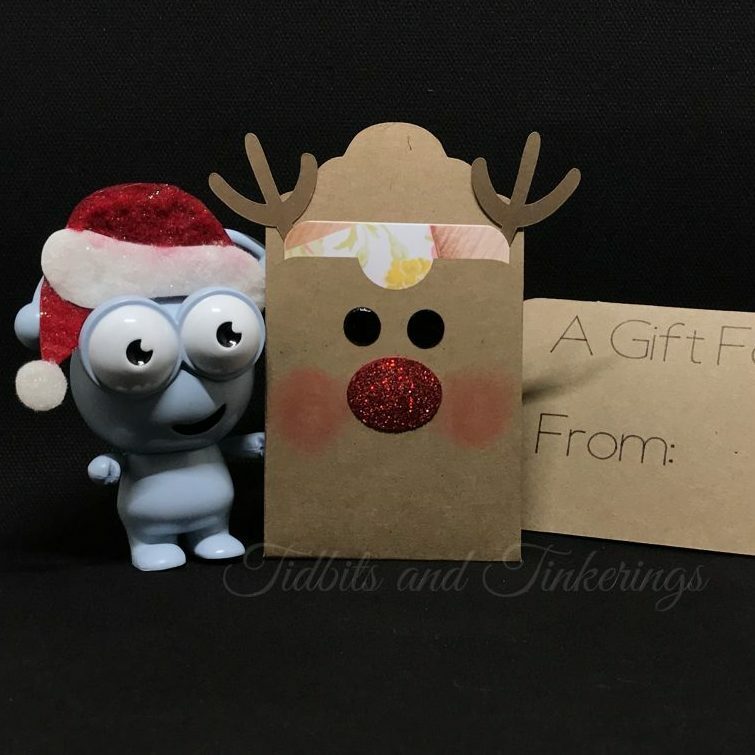 Dress up those gift cards or gift tags with this adorable little reindeer. Very simple to assemble, just fold and glue it all together. You won't see the writing layer because I have it behind the tag, you can hide it in the layers panel if you want to omit it. I used some Pico Embellisher (tuxedo black) for the eyes and red Stickles for the nose. The cheeks were done using chalks. This project is only available for Cricut Design Space. You can grab the file from here. Hi Susan! All of my files/projects are free to download. However, I do use many images and fonts that are part of the Cricut Access subscription so if you don’t subscribe to that Cricut will charge you for any of the images and/or fonts that I might have used that aren’t free. Hope that clears things up. There is a link in the top menu and also on every project page. Thanks so much!